Independent Contractor : What are the Requirements? Jewelry Artist / NP : Can I retain my business and grow in my profession? 3 Months Orientation: I Want to Quit. Should I take the clinic job? Are online classes a good fit for me? LPN to MSN: Where do I begin? Left horrific SNF job; struggling to find another job. HELP! Do I need a professional resume writer? Struggling with Micro and Statistics: Do I have a chance at being a nurse? Are Camp Nurses allowed to remove splinters? Moving to CA: How Do I Apply for Endorsement? Do I need CA residency before taking NCLEX? Avenues for psych nurse certification? 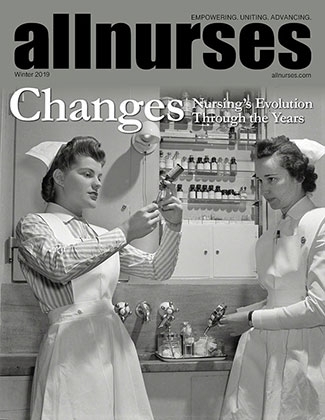 Adjusting to being a new nurse: How long?